Data Dongle - Why You Should not Buy? You are here >> Home >> Personal Finance >> Data Dongle – Why You Should not Buy? Data Dongle – Why You Should not Buy? Sometime back based on my friends suggestion, i was planning to buy a Data Dongle for my laptop. This device is known by many names in the market i.e. Data Card, 3G Dongle, 4G Dongle, USB Modem, WiFi Dongle, WiFi Hotspot blah blah…Trust me all are just a piece of modem. Only differentiation is WiFi and non-WiFi. Basically, this device is required only for Laptops & if you travel extensively else it has no utility. I have a bad habit to do a lot of research as i keep searching for interesting and relevant topics for my website. I sensed an opportunity and after my research i concluded that Data Dongle is nothing more than a Marketing Miracle. In simple words, its a Waste of Money from Personal Finance Perspective. Average cost of this device is Rs 2000, which is subsidized by the operators. Operators play with Indian Psychology to lock the customer after an initial investment. My favorite example is Shaving Razors. After spending approx Rs 300, you will not throw even if you don’t like the product and keep using blades of the same company for next 4-5 years. Company makes the profit from blades, not from razor. After my research, i decided against buying a Data Dongle. I will not discuss technical aspects but will share logical and reasonable justification why you should not buy Data Dongle and save your money. Towards the end of the post, i will share how you can create your own Data Dongle at NIL Cost using your Smartphone. 1. Network Locked: The biggest plus for telecom operators and minus for buyers. Data users are high revenue generators compared to voice customers. As i shared in my post 7 Tips to Save Money on Mobile Recharge, the biggest enemy of your wallet is data consumption on mobile. Same hold true for Laptops, PC’s etc. Once you buy this device from Operator A then you cannot change your operator till you throw the device and buy the new one. The logic behind providing network locked device is that a customer will use it even if he don’t like the service. In my opinion, Similar to Mobile Number Portability, TRAI should introduce Data Number Portability. After you purchased the device you should not stuck with an operator as service levels are not guaranteed. 2. Cost: As i mentioned, an average cost of the device is Rs 2000 and average life of a device is normally 18-24 months. The life is low due to quality and design. Best co-relation is with life of a USB. The more you use, connections become loose or there is a danger of accidental damage. In other words, you are paying monthly rental of approx Rs 100 to recover the cost of a device paid upfront. The cost of the device is justified if you are a heavy user i.e. data usage is more than Rs 800 per month. Due to limited utility, Average consumption of data through the dongle is Rs 400 only in which you get 1 GB or more data. Financially it is not justified to pay Rs 100 or 20% of the total cost per month for usage of the device. Same dilemma is being faced by Cable TV users whether to spend on the purchase of digital set top box or take it on rent. In my opinion, operators should rent out device at nominal fees of Rs 50 by charging 2 months security deposit. In this case, customer will save high upfront cost of Rs 2000. Moreover with fast changing technology, the device will be obsolete in a year or so. Last few years have seen rapid transition from 2G to 3G to 4G. Now, many operators are working on LTE so any investment in 3G or 4G device at Rs 2000 or more will be only for a year or so. Once operators adopt new technology, they will leave the old one along with its customers in the peril of god. 3. Utility: Currently one data connection is being used by multiple devices. For example, in my house Broadband WiFi connection is being used by 4 mobile devices, 2 laptops, 1 PC and my Tata Sky “Video on Demand”. 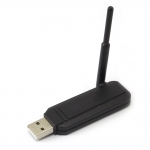 Now operators also realized this need and launched WiFi Dongle to connect multiple devices. Operators forgot that if i buy WiFi Data Dongle and take it to my office then how the users at home will use data. In short, i definitely need broadband connection at home. If i need broadband at Home then why i need data dongle. Secondly, this device cannot be the replacement of Broadband connection due to speed issues. With a limited spectrum, mobile operators cannot compete with Broadband providers. Lastly, if i use LAN in office and Wifi at Home (Broadband Provider) then why i need data dongle. You should answer these questions before purchase. Data Dongle will be redundant in the future as all laptops will come with inbuilt data dongle or data card. In short, if you will change your laptop then your data dongle will be of no use. Currently, you will find some laptops are available with inbuilt data card. It is beneficial for laptop manufacturers to tie up with an operator to increase their margins. For operator, it will be bulk business thus win-win situation for both. 4. Data Plans are costly: LIf you are using the data on your smartphone through 3G data pack or using data through 3G Data Dongle, it is one and the same thing. Going by this logic, the data plans of dongle are costly compared to data plans available for smartphones. Use of different access channels cannot change the price of a product / service for a customer. In short, if you buy data dongle you are paying a high cost on 2 accounts i.e. cost of the device and secondly for data consumption also. 5. Mirage of a Speed: In my opinion, Happiness, Sadness, Speed of Data Card etc are relative terms and depends on perception. Speed of data dongle is linked to the location. It cannot be generalized. In my apartment, Block X has good data speed of operator A but next block, speed of operator A is worse therefore speed is Mirage. Secondly, my friend who is my inspiration for this post bought 21 Mbps data dongle. He was under an impression that he will get 21 Mbps speed. It’s like you bought a lottery if 1 Cr and assuming 1 Cr is yours. He is getting actual speed of 1 Mbps or so. 6. Speed Demo / Roadshows: You might have observed lot of Roadshows near IT Parks, society etc by telecom operators. You can take the demo at your home but trust me all these are marketing gimmicks. Operators calibrate nearby towers to showcase best speed during demo. I saw many reviews on internet that during the demo at their house, speed was superb. When customer bought the data dongle, speed was pathetic. (a) Unused data carry forward is not allowed in most of the prepaid plans. If i bought 2GB plan then i have to use the same during 30 days validity. (b) Speed Throttle in Unlimited plans: In unlimited plans, under fair usage policy if fair usage limit is over then speed is as good as tortoise’s speed. It is advisable that depending on your requirement, you should check all terms and conditions. (a) Your Smartphone: Smartphone is your best alternative to costly data dongle. Smartphone can be used as a modem which is the basic requirement to access internet. It can also act as WiFi Router. You can connect other devices to your smartphone for data connection. During traveling, my wife connects to my smartphone for data connection. You can recharge with comparatively cheap data plan and get all the benefits of data dongle. There is no single advantage of data dongle over smartphone. A smartphone is not network locked and you can change the operator if the speed is a concern. If you have dual SIM smartphone then you can use one slot for data smartphone SIM. (b) Open market Data Dongle: If you have a specific requirement of data dongle then you should buy an open market data dongle. These are available at Rs 1000 and are SIM based. You can buy SIM of your preferred data operator. Activate 3G data pack and use the dongle for data connection. You have flexibility to change the operator without changing your device. It justifies the cost of a device. Do Remember “A Rupee Saved is A Rupee Earned“. We should make any purchase based on our requirement. Alternatives mentioned by me are known only to people who have some information on technology. Any purchase decision should not be based on marketing campaigns but based on proper research and need based analysis from the customer’s end. Hope you liked the post.